The original Flashback was release way back in 1992, same year the Blue Jays won the world series…just thought I would throw that in there, as a “Sci-Fi cinematic platformer”. I was 9 when this first came out and remember playing it all the time…Although I don’t remember making it very far. 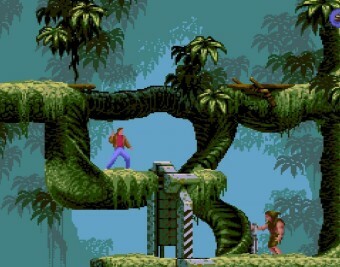 This was one of my favorite games as a child…However up until yesterday I completely forgot what the title was. 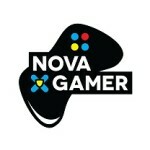 I can remember the opening cut scene, the graphics, music, game play, and even the characters name! Yesterday I finally put two and two together and realized that the upcoming XBLA title Flashback was a remake of this long lost childhood favorite! You can imagine my shock and awe when I finally figured this out… I mean it has been 20 years! It actually wasn’t until I was looking at screens of the level design that I thought to my self “I have seen this before” But enough about me, lets get into the game. 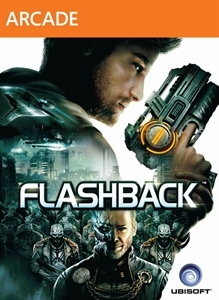 The Flashback remake was created by French game developer Vectorcell studios and published by Ubisoft. The best part is that the team responsible for the first flash back is also working on the remake. 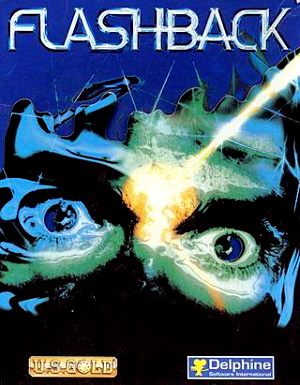 Paul Cuisset, the lead game direct of Vectorcell, explains that the original Falshback started off as a video game adaptation of the god father movies. Paul started by transposing the story of Michael Corleone in a future sci-fi environment. When the mock up was finally done it was no where close to the God Father story, in fact there were no similarities at all…This was not a bad thing however, the head of Delphine Software International saw something in the mock up and wanted to run with it! Flashback was Born!!! Paul Cuisset said in an interview that “Doing a remake 20 years later is an idea that has to ripen. Finally after 20 years, we said there might be something we can do because everything has changed so much. So much has changed that we can offer something new and interesting”. Flashback was born during the era of the “super 90s” action movies, and as a result the remake will be a child of the 90′s. The player can expect to hear many quotes from form the 80′s and 90′s action movies, ranging from blade runner to robo-cop. 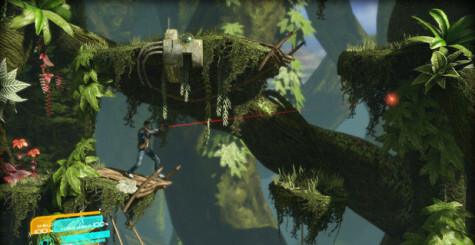 The end product is still a platform based action game, however it is much more fluid and explosive than the original. When the developers made the switch to 3d they spend a lot of time on the environment and animations. They wanted their world to be brought to life in a way that it could never have been done in the past. Vectorcell is planing to stay as true as possible to the original. However they have updated as much as they could to make Flashback a modern day title. Even though the old combat system still worked, it was dusty and..well…very old! The new combat system allows players to aim in multiple direction (which we can’t really live with out anymore) where the old system simply allowed you to shot forwards. The character movements and physics also received a massive face lift and over haul to bring more “modern comforts” to the title. The developers goal was to preserve the heart and soul of the title while updating Flashback to the modern era, and in their opinion they succeeded. Personally I am really looking forward to Flashback and can wait to try it out. Keep your yes peeled for the review! You can have your own flash back of Flashback on August 21st on XBAL, and shortly after on PSN and steam.